I honestly have never had so much go wrong with a meal!!!! 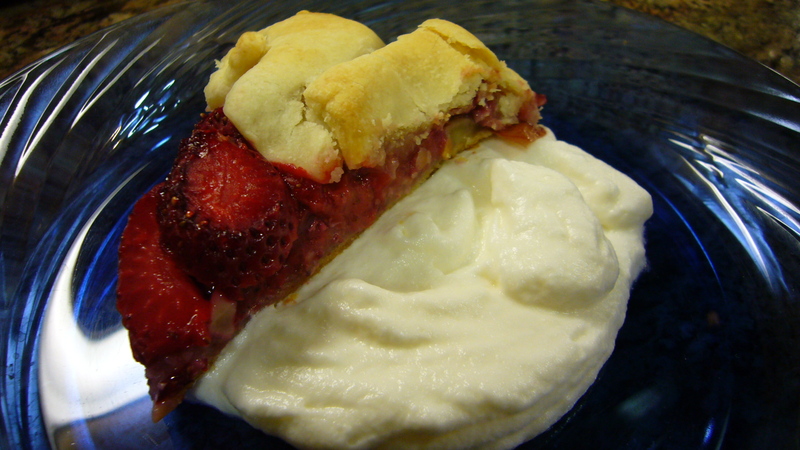 It ended with a bit of dessert joy in a tart, but the first 3 things posed some problems for me. The garlic toast was a simple enough deal. I just have never used, or don’t remember using an oven broiler. I forgot my delicously dainty toasts in the oven for one minute too many and I was left with more than a couple burnt edges. The bottoms were ok, but the tops were a bit rough in some places. The second bit was the Curry Rice! I adore Japanese Curry. My Father, with his great love of curry, was making family dinners for years with it. His style of preparation was to cube everything up including the rue, add it all to the pan with some water and then let it simmer for some time. It ended up being more like a thick soup. It was tasty and I didn’t know any better so all was copacetic. From the year 2000 to 2004 I shared a condo with Satoko and Yuri, two of the most wonderful girls I know! We lived together and cooked amazing meals for each other all the time. They, among many dishes, taught me how to make Japanese style curry with a bit more careful attention to the details. Talk about a huge taste and texture difference! I really like eating the red pickled daikon radish with it as well. The sharp contrast in texture is refreshing especially if the curry you are eating is really hot. The part that messed up on was the rice….. The most simple of things…rice. The upside is that I am one step ahead if I ever decide to make rice porridge. The last dish, I got the idea to make while driving home trying to think of a quick dessert. 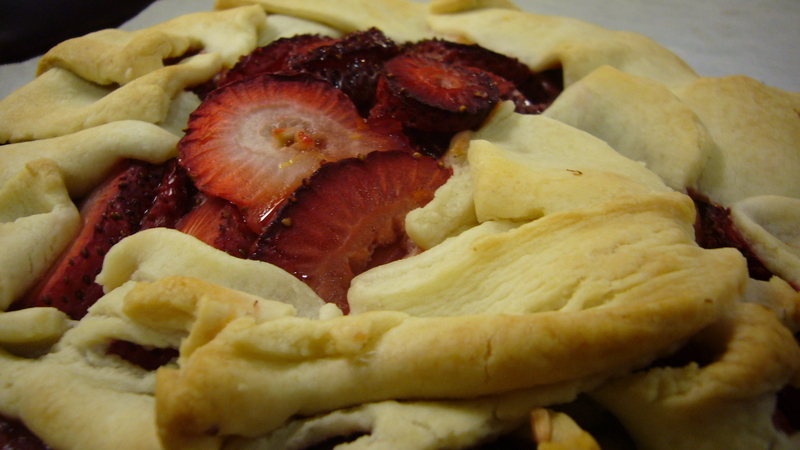 I knew that I wanted to make a tart with some left over pie crust. All I needed were some strawberries and some kind of cream topping. I bought some whipping cream and made a what turned out to be this grossly and excitingly tasty dessert! It made up for all my earlier errors. The strawberry tartine cooling just out of the oven. I let the pie cool out of the oven for like 15 minutes. Then served it up with a generous portion of Whipped cream that was prepped in way to make it taste like cheesecake. I will make this all for you some day I promise! I have posted the recipe on the Food52 website if you would like to make it. I enjoy their blogs immensley and the community of food bloggers they attract. Please ask me any questions about my recipe. It’s only the second one I’ve ever written and I would appreciate input or feedback. Thank you Sasha for coming over and letting me cook for you! Let’s dine again soon! ← When being an nerd and a foody collide.